On October 28, 2018 His Excellency Most Rev. Dr. Philipos Mar Stephanos announced Rt. Rev. Fr. Augustine Mangalath as the new Proto Syncellus of the Eparchy, Rt. Rev. Gigi Philip as the Syncellus for Canada, Very Rev. Fr. Saji Mukkoot as Chancellor, and Rev. Fr. George Onnoonny as the Judicial Vicar. The Eparchy expresses its heartfelt gratitude to Rt. Rev. Msgr. Peter Kochery who served as the Vicar General and Very Rev. Fr. Augustine Mangalath who served as Chancellor for their tireless service and dedication to the Eparchy. On October 28, 2018, Rt. Rev. Msgr. Peter Kochery was presented with the Good Shepherd Award by Very Rev. Fr. Augustine Mangalath. This award is given to Rt. Rev. Msgr. Peter Kochery in honour and recognition of the meritorious service and leadership that Rt. Rev. Msgr. Kochery has given to the Syro-Malankara Catholic Eparchy in North America. The Eparchy is deeply indebted to Rt. Rev. Msgr. Peter Kochery for the tremendous leadership he has been giving to the Eparchy. May God continue to bless his ministry. The Platinum Jubilee (75th Birthday) of Rt. Rev. Msgr. Peter Kochery was celebrated on October 28, 2018 under the auspices of the Syro-Malankara Catholic Eparchy. The celebration was held in conjunction with Bishop’s day and began with the Holy Mass at 10:30 am at St. Vincent de Paul Cathedral Church. The Holy Qurbono was celebrated by Bishop Stephanos and was concelebrated with Rt. Rev. Msgr. Peter Kochery, Very Rev. Fr. Augustine Mangalath, Rev. Fr. Noby Ayyaneth, Rev. Fr. Mathew Thundiyil, Rev. Fr. Michael Edathil, Rev. Dr. Gigi Philip. Rev. Dr. Saji G. Mukkoot, Rev. Dr.
On October 28, 2018, the Eparchy celebrated Bishop’s Day. October 28 marks the first anniversary of His Excellency Most Rev.Dr. Philipos Mar Stephanos’ installation as the Eparchial Bishop. During this short period, His Excellency has made a tremendous impact on all of us. The Eparchy has been touched by his warmth, exemplary leadership and deep spiritual teachings. As part of the celebration, a felicitation speech was given by Rt. Rev. Msgr. Peter Kochery and Bishop Stephanos thanked the entire Eparchy for its support and prayers. The Pastoral Council Secretary Mr. John P.
Rev Fr. 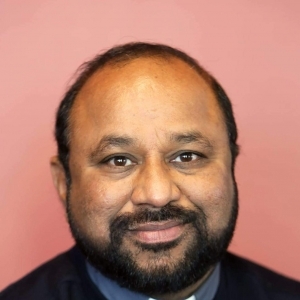 Mathew Thomas Thundiyil has been appointed the new Pastor of the Syro-Malankara Catholic Church in Yonkers on September 23,2018. Fr. Mathew celebrated the Holy Mass and a brief meeting was held by the Yonkers parish formally welcoming him. His Excellency Most Rev.Dr.Philipos Mar Stephanos gave the opening felicitation and officially installed Father Mathew as the new Pastor for the Yonkers church. 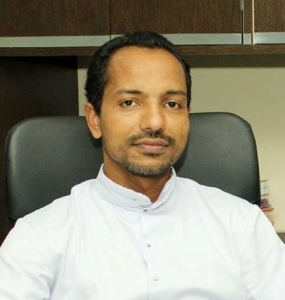 Father Mathew hails from the Archdiocese of Tiruvalla. The Eparchy extends him a hearty welcome and God’s blessings in his assignment in the Eparchy. Appointment of Rev. Fr. Baby Madathikunnathu in Calgary. His Excellency Most Rev. Philipos Mar Stephanos has appointed Rev. Fr. Baby Madathikunnathu as the new Pastor of St. Jude Syro-Malankara Catholic Church of Calgary. He took charge of the parish on September 29,2018. Fr. Baby Madathikunnathu replaces Rev. Fr. John Kuriakose who has been serving St. Jude Syro-Malankara Catholic Church of Calgary as its Pastor for the past three years. The Eparchy extends a hearty welcome to Fr. Baby Madathikunnath and wish him God's blessings. Fr. Baby hails from the diocese of Moovattupuzha. Read more about Appointment of Rev. Fr. Baby Madathikunnathu in Calgary. Rev. Fr. 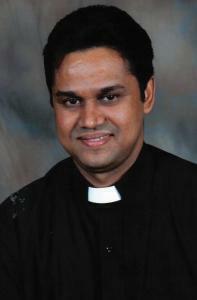 John Kuriakose has been serving as Pastor of St. Jude Syro-Malankara Catholic Church of Calgary for the three years. Rev. Fr. John is relieved of his responsibilities in the Mission on September 28,2018. 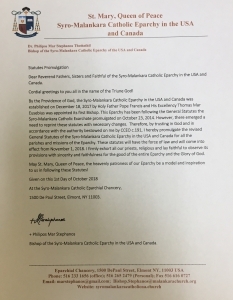 The Syro-Malankara Catholic Eparchy in USA and Canada remains deeply indebted to Rev. Fr. John Kuriakose for the remarkable pastoral leadership that he gave to the mission and also for his generous cooperation and assistance to the common activities and Apostolates of the Exarchate.